Our newest series is all about Vegetarian Burgers. We have so many recipes and ideas to share. Let’s jump in! Our Vegetarian Burger Topic is brought to you by Produce for Kids. Your healthy family resource for nutritious meals. It’s August and I don’t know about you but I’m still doing a ton of grilling. Except, instead of focusing on the standard grill favorite (meat!) I’ve been healthier lately and have gone in the opposite direction: Vegetarian Burgers. Why vegetarian burgers? They’re delicious (or can be) and healthy and just plain great for vegetarians and meat-eaters alike. Yes, really. Try not to think of veggie burgers as a meat alternative but as a tasty food in their own right. Like, if you’re having a BBQ or party this summer, don’t try to satisfy your vegetarian friends by grabbing a frozen box of veggie burgers from the grocery store. Whip up one of our delectable recipes and serve them to everyone as a delicious option. 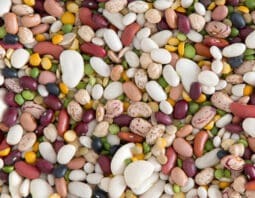 We have such hearty flavorful recipes for you. You’re going to love them all and so will your guests. We have so much tasty info in this topic. Like I said, some delicious recipes, using beans, tofu, quinoa and tons of vegetables thrown in, of course. We’ve also got a cool formula for making veggie burgers out of things you already have on hand. And, if you find yourself needing to reach for that box of pre-made burgers, we’ve got you covered there too with a taste-test and comparison of some of the major vegetarian burger brands. So much tasty veggie-packed info awaits! 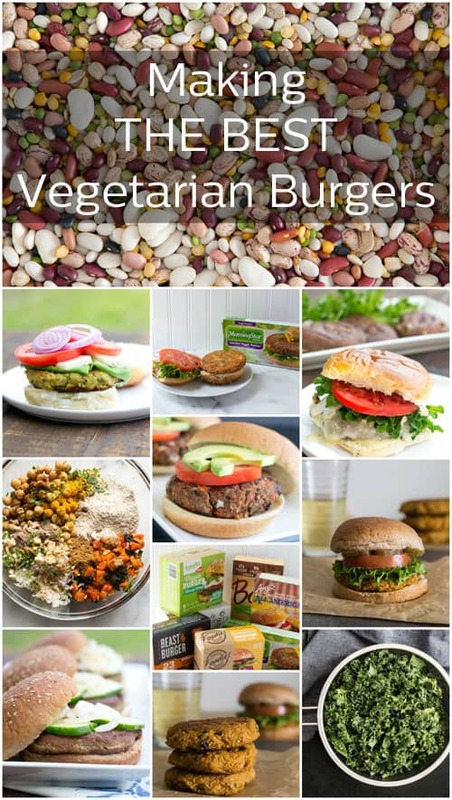 If you love vegetarian burgers and want all of our info and recipe packaged in one convenient (and printable) place, sign up below and you’ll get our full Vegetarian Burger Ebook. Now let’s fire up that grill. It’s summertime, baby!